Pale with a title etched in a sombre serif on the spine, Beast lies waiting for you. The front cover features only the blood-red outline of a man lying on, or perhaps falling through empty space; the back says, in that same copperplate font: “Come to a place like this… and you will understand soon enough that this world is a great animal, alive and breathing.” Like an abandoned tunnel, or an empty shed out on the moor in cinema, the novel simply insists you pick it up and enter its pages. 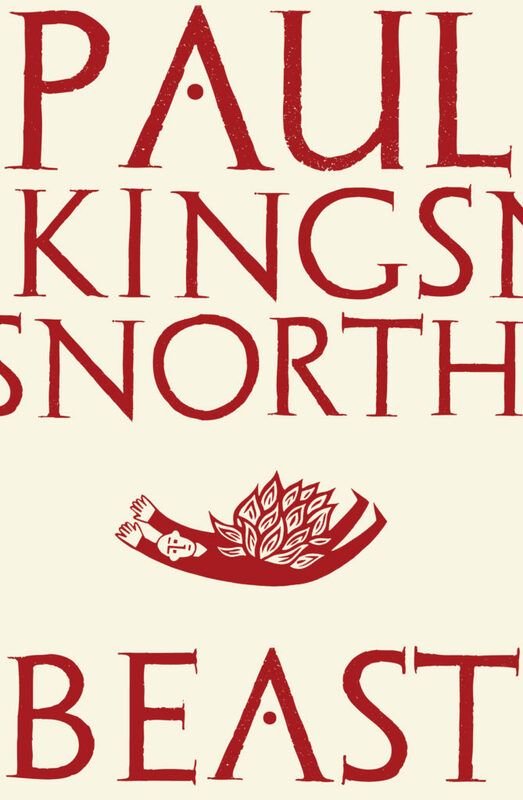 Inside, the world of Paul Kingsnorth’s second novel is a distinctive place. The work can be seen to interact with the very book that houses it. The margins are wide, and the words of the text appear to huddle in the centre of the page for warmth. Chapter divisions are suggested by blank pages; the pages that precede these blank pages have had their final few words erased, a strategy that also characterises the first lines of new pages that follow each blank page division. This is all intentional. Kingsnorth is a keen environmentalist, and the exploration of people and stories, both as products of their own environments and as influences upon them, is a strong theme in his fiction. Such an interplay between narrative and voice, between text and page, is central to the book. In The Wake, his 2015 debut, Kingsnorth told the story of a Buckmaster of Holland, and wound a coarse strain of Middle English phonetics into the prose. When Buckmaster says, “in me for in efry man there is the wind and the water and his worc until he is tacan is to cepe the wilde lands from the tamers,” we’re not just given a glimpse of the man’s personality and values, we’re also given a regional accent, setting, and natural elements. They’re all growing from that same wild ground, and it’s this ground to which we return. When the narrator of Beast begins his story, it’s more modern, and very different – that wild ground has clearly been tamed long ago: “I let the water numb me and I understood that I had always been numb. The sky opened a crack, but only a crack. There was still something beyond that I could not touch.” Connection to “the wind and the water and his worc” is still there, but now it’s beyond reach, filed away and compartmentalised in a modern mind. These clipped sentences are all regular; and while you might not infer much from this, Edward has arrived, as have you, to figure something out about this blank and desolate place. And, to slip through that crack in the sky, you have to free yourself, as he does, of the trappings of civilisation. Those commas and capital letters, the conventions of a language that allows us to tame and organise the world around us, are stripped away as the sections evolve, giving way to pure description. Instinct takes hold of the sentences and pulls them along in its wake: “then I see something i’m sure I see something i’m sure I see a movement to my right it is so hard to tell the cloud is so thick…” These final, feverish passages reminded me of Beckett’s How It Is, and his practice of translating his own work from French, to “avoid writing with style”. 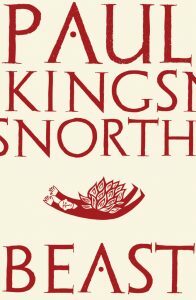 When Kingsnorth pulls this off, reading Beast feels like talking to Lear on the hilltop, probing a terrifying primordial secret. Kingsnorth plays with language in Beast in a way that leaves you never feeling quite sure of the ground under your feet. When it works, it’s mesmerising. When it doesn’t, it’s a little exhausting. Then you might very well ask yourself why, just like Edward, you’ve consigned yourself to such asceticism and aren’t curled up with a cup of tea and some delicious commas and capital letters instead.